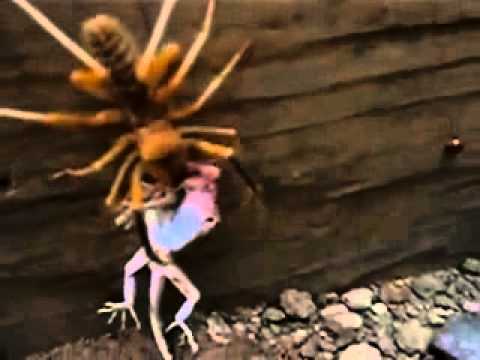 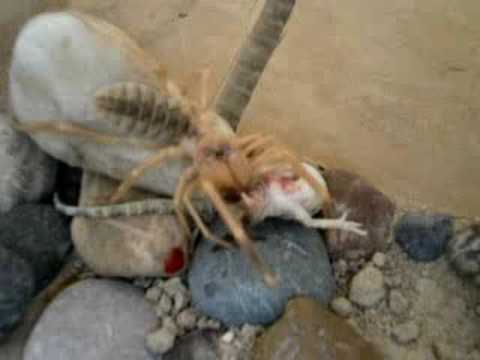 Solifugae is an order of animals in the class Arachnida known variously as camel spiders, wind scorpions, sun spiders, or solifuges. 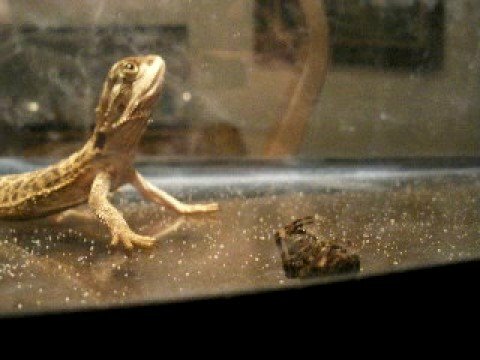 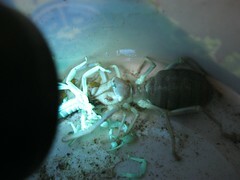 The order includes more than 1,000 described species in about 153 genera. 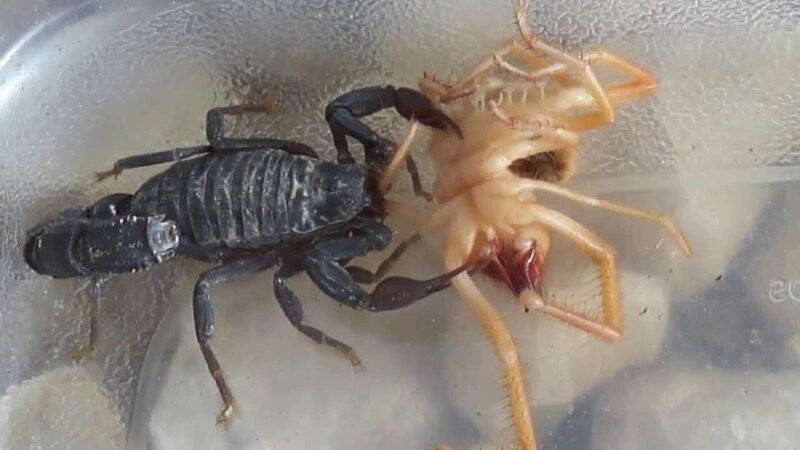 Despite the common names, they are neither true scorpions (order Scorpiones) nor true spiders (order Araneae). 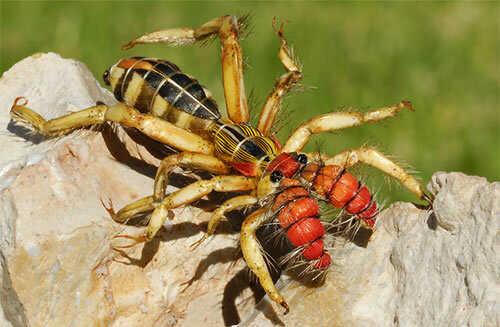 Much like a spider, the body of a solifugid has two tagmata: an opisthosoma (abdomen) behind the prosoma (that is, in effect, a combined head and thorax). At the front end, the prosoma bears two chelicerae that, in most species, are conspicuously large. 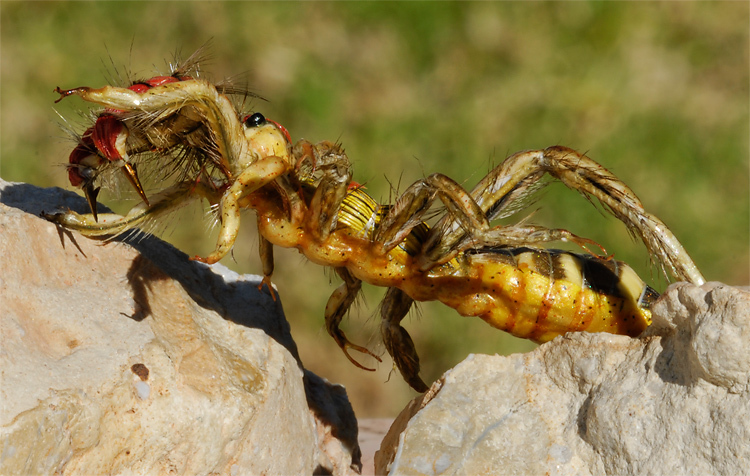 The chelicerae serve as jaws and in many species also are used for stridulation. 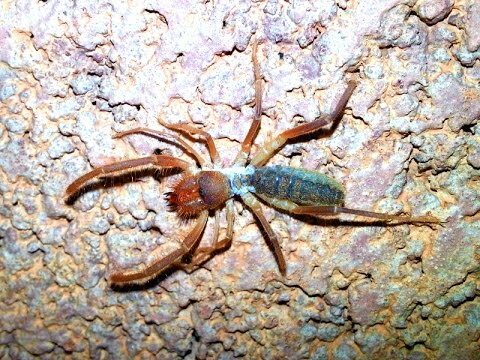 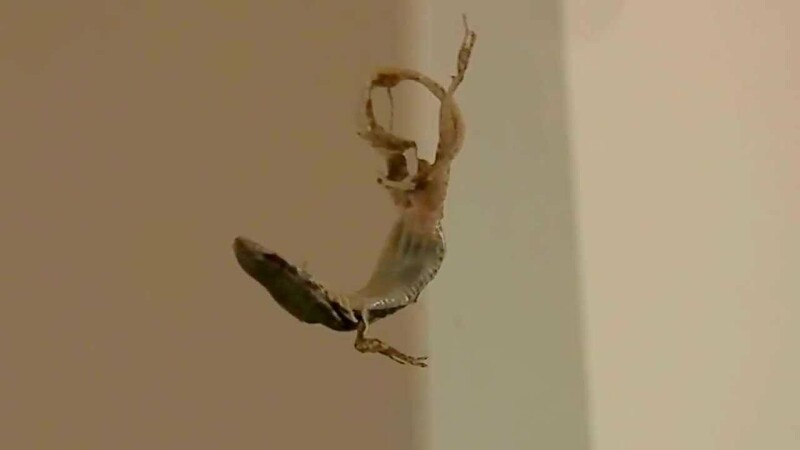 Unlike scorpions, solifugids do not have a third tagma that forms a "tail". 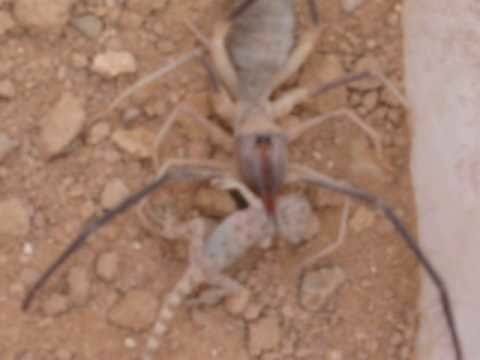 Most species of Solifugae live in dry climates and feed opportunistically on ground-dwelling arthropods and other small animals. 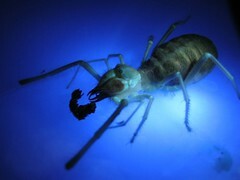 The largest species grow to a length of 12â15 cm (5â6 in), including legs. 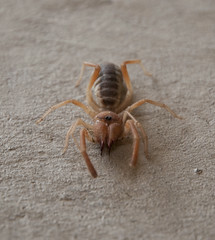 A number of urban legends exaggerate the size and speed of the Solifugae, and their potential danger to humans, which is negligible.